Nitesh HUB is one of my favorite fashion and shopping destinations in Pune thanks to its eclectic mix of fashion, food, beauty and entertainment. Spread over 1 million square feet, the mall is all one of the most admired, cherished and most-sought after shopping and entertainment destinations spread over 6 acres in the heart of Pune at Koregaon Park. With a brand mix of names like The Collective, Swarovski, MAC, Parcos , Tommy Hilfiger, Calvin Klein, Wills Lifestyle, Clarks, Clinique, Forever New, Forest Essentials, Zarmina International, SPAR, Colorbar,Kazo, Global Desi, PVR and and many more, it boasts of a resplendent range of brands. I recently spent a fun day there so let me tell you all about the stores I visited. I started with Forest Essentials, an authentic Ayurvedic skincare, hair care and wellness brand that embodies elegance and opulence. Their products are made of naturally distilled pure essential oils, pure cold pressed, organically grown vegetable oils and plant extracts using age-old Ayurvedic formulations. 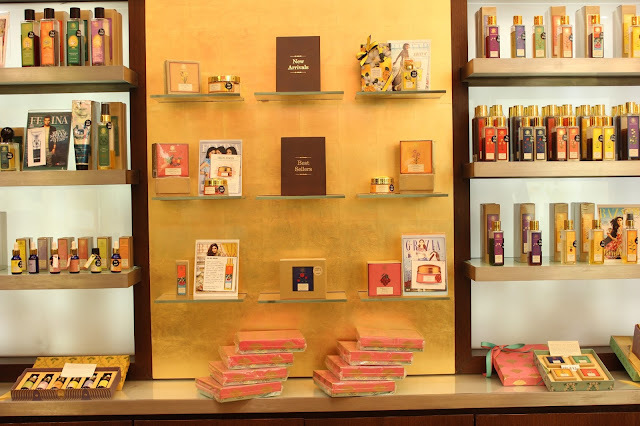 I've used many of their products and am a big fan so I was more than delighted to shop from an entire store filled with their goodies. Many of their products have been featured in top magazines which shows how excellent their products are. I really liked the way the staff of Forest Essentials at Nitesh HUB Pune explained and suggested the perfect skincare products for me. Forever New is an Australian clothing and accessories brand and I really love their clothing and accessories. 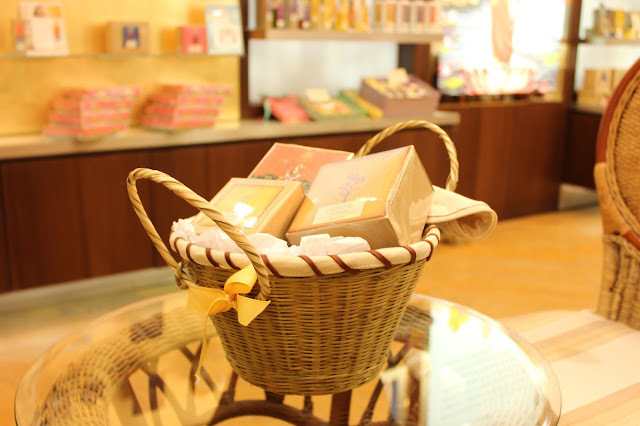 They boast of harmonious collections which are presented beautifully in elegant store environments for our shopping pleasure. Their collections are inspired by global trends in art, film, music and theatre, haute couture runway shows in Paris, London, Milan and New York. The newest collection which they currently have at Nitesh HUB Pune is called Bolshoi Belle and is all about classic feminine shapes in luxurious fabrications with a modern twist. Billowing Blouses in soft sheers are worn with drapey viscose pleat pants while oversized cocoon coats wrap around neat, structured shift dresses. Here's a beautiful top from their collection which is absolutely perfect for fall and is perfect for both work and play. I also loved this super chic color blocked sheath dress which is absolutely perfect for a formal dinner or cocktail party. Isn't this super elegant? Next up, I checked out Kazo at Nitesh HUB, , a young international brand that offers extremely stylish designs for both clothing and accessories. Right from the moment I entered, I couldn't keep my eyes off these gorgeous tan bags that are both stylish and functional. I don't usually dress cutesy, but was still tempted to try out this adorable dusty pink look. I teamed it with an embellished hairband, matching belt and bracelet - all from Kazo. Don't I remind you of Blair Waldorf from Gossip Girl? 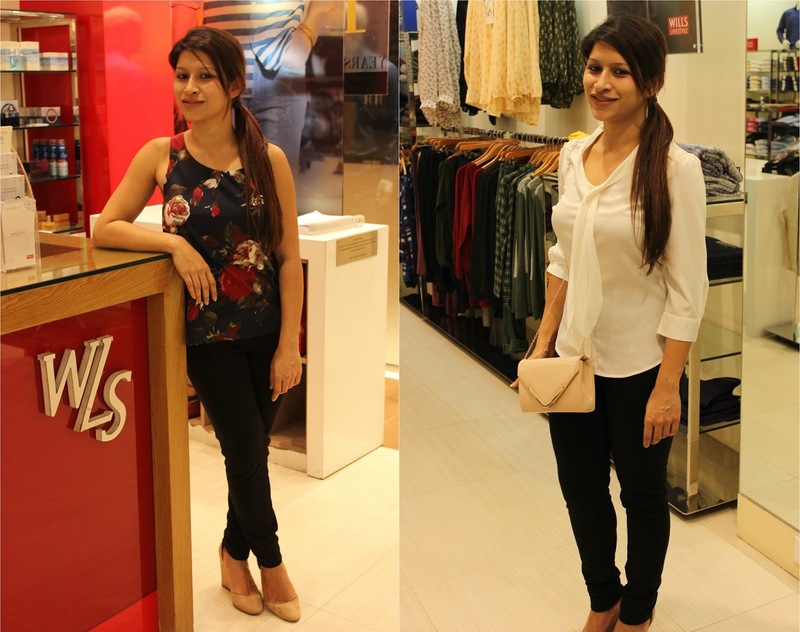 Wills Lifestyle at Nitesh HUB offers a premium lifestyle wardrobe, incorporating the latest fashion trends for both men and women. With a range of Wills Classic formal wear, Wills Sport casual wear, Wills Clublife evening wear and Wills Signature designer wear, there's something for everyone. I really liked this printed top which is perfect for the night and this beautiful white shirt which is perfect for work. Do you know that the only ‘The Collective’store in Pune is at Nitesh HUB. It is India’s largest luxury retail chain that offers a wide range of international luxury brands for menswear, womenswear and accessories. 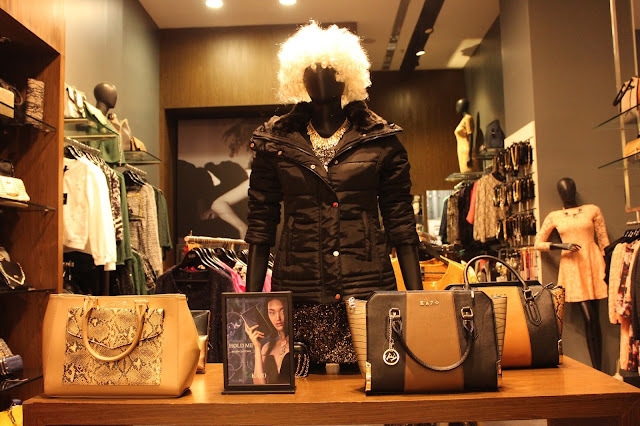 They carry a range of accessories, from bags, shoes and sunglasses, fragrances and belts. Choose from Love Moschino, Coccinelle, Marc by Marc Jacobs, Michael Kors, Simon Carter, Tateossian, Versace Collection and more. When accessories as noteworthy as these take center stage, you can’t continue to call them accessories. Here's a gorgeous red Armani Jeans bag that caught my eye. And of course, for all you Kors addicts, they have something for you too! I fell in love with the Michael Kors wine colored snakeskin bag on the shelf! Such a timeless classic! Their range of adorable Ted Baker bags in fun colors and glossy finishes totally caught my eye! 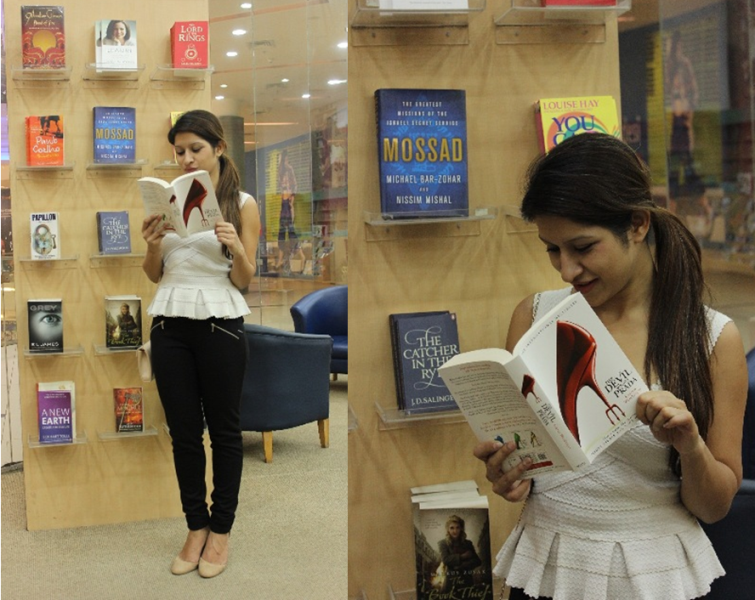 Crossword is a chain of bookstores present in various locations across the country and I was glad to find a large and spacious Crossword store in Nitesh HUB too. Crossword stocks the widest range of Books – Movies- Music- Toys- Stationery- Magazines and CD ROM’s. Surprise surprise! You've never seen me wearing anything Indian on the blog so here goes! Zarmina International at Nitesh HUB is an exclusive store which stocks breathtaking lehangas, sarees, suits and gowns designed by Shilpa Agarwal. 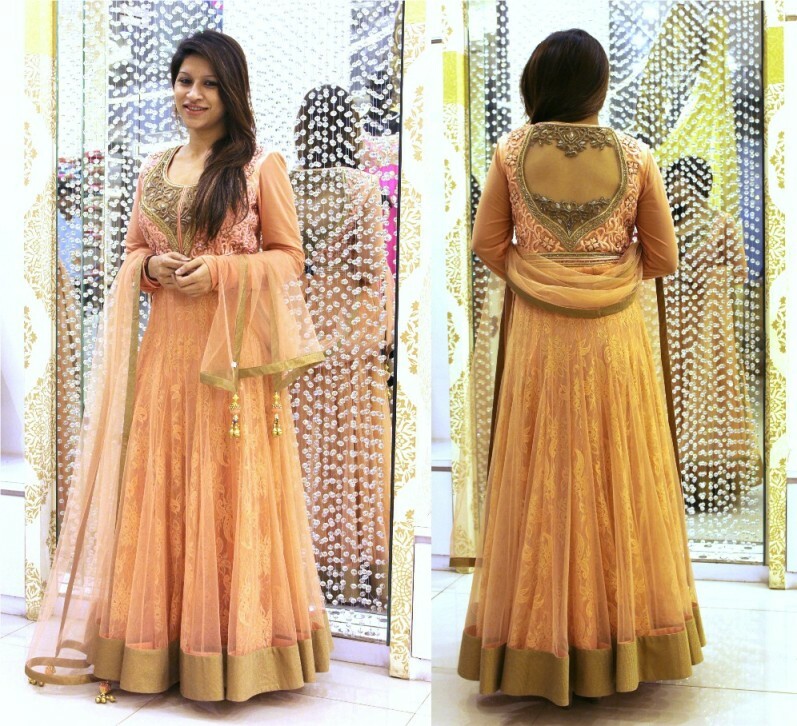 I was never fond of anarkalis till I tried on this beautiful pale pink design of theirs. The moment I looked into the mirror, I felt like a million bucks! I think I want to get married just for the heck of being able to wear such pretty outfits! If you're looking for a special Indian outfit for an important occasion, Zarmina International is the place to visit! Their creations are beyond gorgeous as you can see below! This looks like a place I would love to shop too! They offer so many things, thank you for showing it here :-). Great post, beautiful pictures!! I love the last dress! A day at the mall and a day well spend, as it seems. A day well spent indeed. This looks like a great one stop shopping destination! I'm jealous, everything looks great! The Indian dress is so beautiful!